Old El Paso™ Slow Cooked Shredded Beef Burrito recipe isn’t complete without the delicious quinoa salad. It takes 3-4 hours to cook but will serve 4-6 for an impressive Mexican meal! 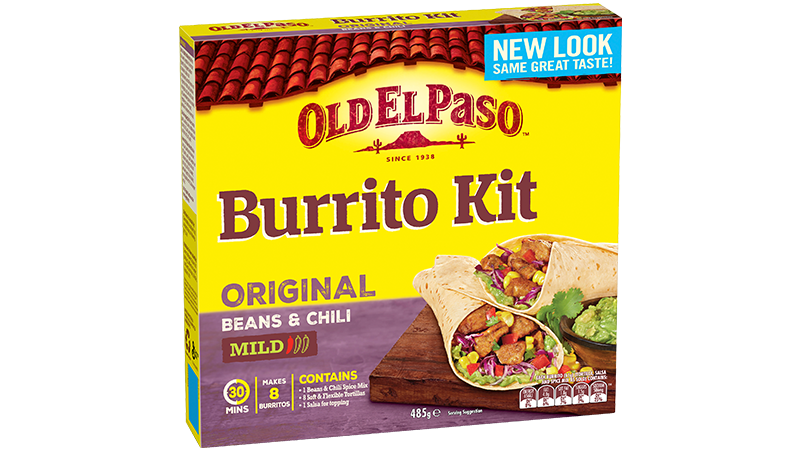 This meal is made easy by using an Old El Paso™ Burrito Kit - just add delicious fresh ingredients like cherry tomatoes and blade roast. Preheat oven to 160°C (140°C fan forced). Roll beef in Burrito Spice Mix to coat. 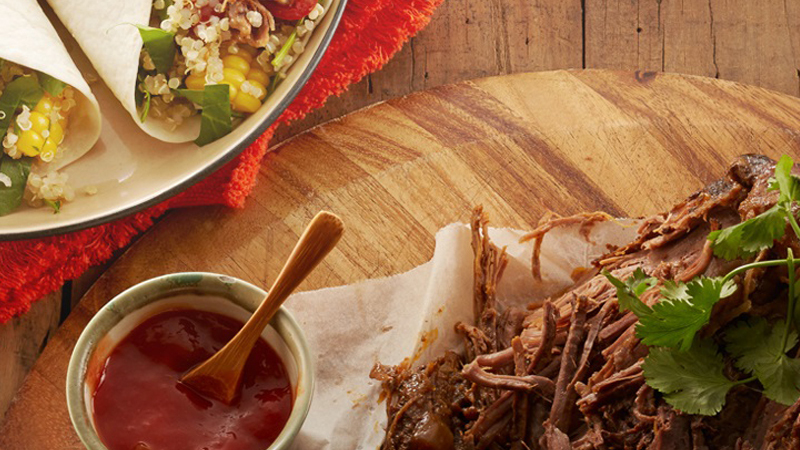 Heat 1 tablespoon of oil over medium heat in a heavy based casserole dish and brown beef all over for 3 - 4 minutes. Set beef aside. Add remaining oil, onion and any remaining spice mix. Cook for a further 1 minute. Add orange juice and bay leaf. Return beef to casserole dish, cover snugly with a layer of foil and casserole lid. Cook in oven for 3- 4 hours or until falling apart. Quinoa Salad: Rinse quinoa in strainer, place in a medium saucepan with 2 cups if water and bring to the boil. Reduce to simmer, cover and cook until water is absorbed (10-15 minutes). Allow to cool, toss through spinach, corn, tomato and coriander. Dress with lime juice. Remove beef from casserole. Return casserole dish to stove and cook over high heat reducing the liquid by half. Shred beef using two forks and a pulling action, add to pan juices and serve with coriander.